• the skills to hold communities and public officials accountable. Through campaigns and visual storytelling, Critical Exposure helps students raise their voices in conversations about education policies and build the public support and political will needed to address the issues they face. 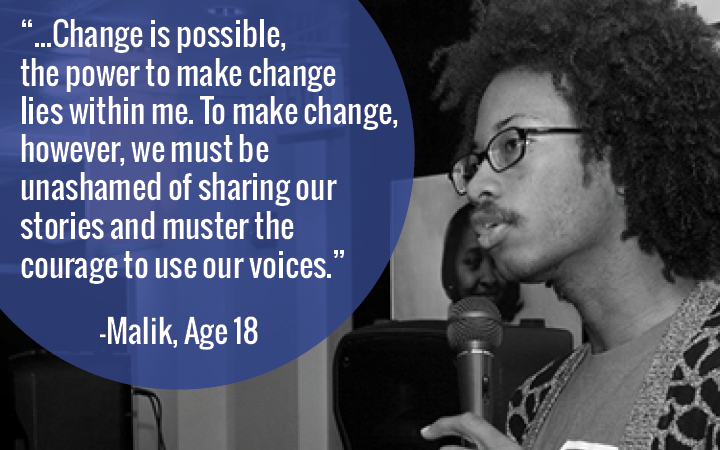 Critical Exposure serves youth through partnerships with DC high schools and afterschool programs. Students gain skills in documentary photography, leadership and advocacy. 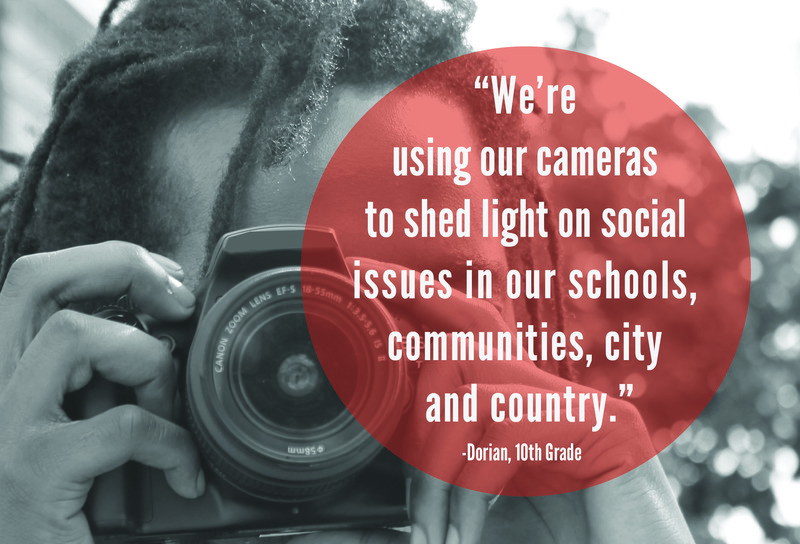 They learn to think critically about their schools and communities and document issues that affect their lives. They then use these images to launch a campaign to address one of those issues collectively. Photos are shared with the public through traveling exhibits in galleries, libraries and other public spaces, and shown directly to public officials and decision-makers. Since our founding in 2004, students have helped secure over $500 million in additional education funds and made crucial improvements in their schools. Changes include: building a new school library, adding new, relevant classes to their high schools, improving the security processes as students enter school, and winning funding for a community garden. We also witness significant changes in the students who learn to recognize the power of their images and their own voices to become effective agents of social change. While the students in low-income public schools are often discussed, analyzed, and critiqued, they are rarely asked to contribute to the conversation. The injustices of the education system against low-income and minority youth are being allowed to continue and worsen, in part due to the country’s ability to turn a blind eye to the conditions in their schools. We believe that young people have a unique perspective on education and should be included in the decision-making process and be able to hold public officials accountable for meeting their needs. Read more about what we believe here. Prior to founding Critical Exposure, our founders worked in education policy, teaching, and community organizing, and have both been life-long photography enthusiasts. Their experiences witnessing the absence of students from the decision-making process drove them to create an organization whose mission is to teach youth how to use the power of photography and their own voices to advocate for the opportunities and resources they need to succeed.